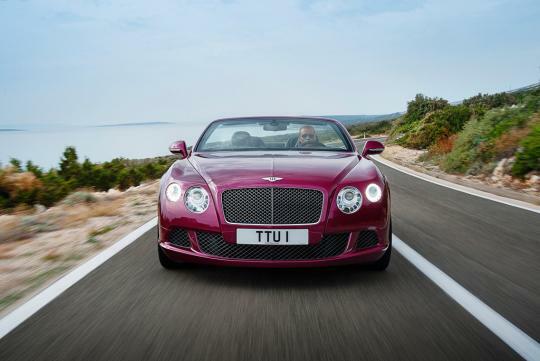 Bentley has given a web reveal to the drop down variant to the Continental GT Speed before its official international debut on the 14th January at the North American International Auto Show in Detroit. 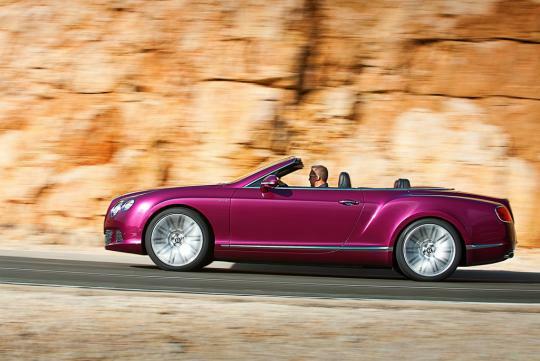 Apparently the flagship performance drop-top is also the world's fastest four-seating convertible. 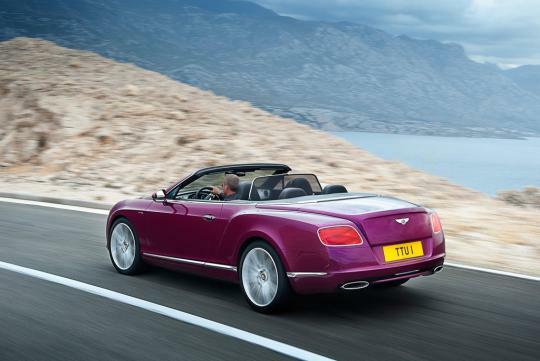 The four-layer hood on the new Continental GT Speed Convertible has been extensively tested in all conditions from -30�C to +50�C or more, even resisting monsoon-force rain and maintains comfortable, draft-free warmth even on the coldest days. 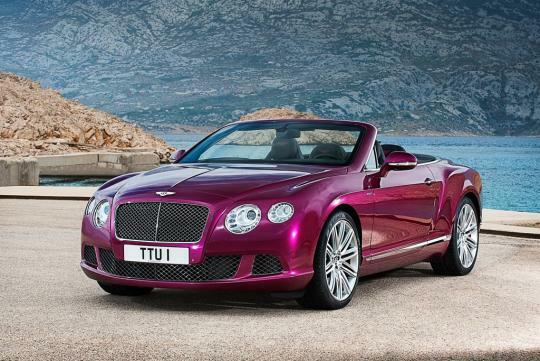 The GT Speed convertible shares the same twin-turbocharged W12 engine similar to its GT Speed coupe counterpart with an output of 616bhp and 800Nm of torque which propels the car to 100km/h in 4.4 seconds before hitting a top speed of 325km/h. The powertrain also features the latest ME17 engine management system which provides better turbocharger control and torque management. 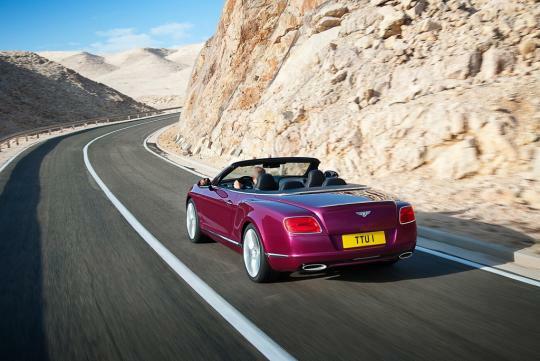 Like the other W12-equipped models, the GT Speed convertible features a 'KERS' like energy recuperation system. Bundle that to the short-shifting eight-speed transmission and the Bentley returns a 15 percent improvement in fuel economy and CO2 emissions. 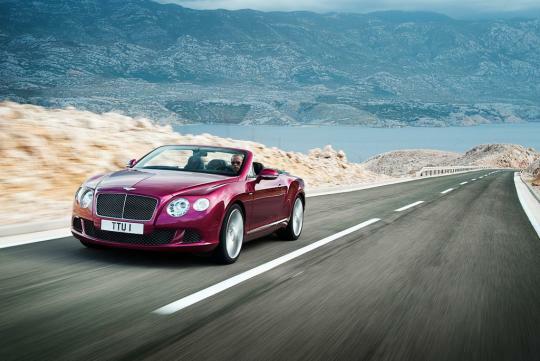 The Continental GT Speed convertible can be identified by a darker-tinted chromed out matrix radiator grille and bumper air intakes.  The 21-inch speed exclusive alloy wheels are unique to this model, and is available in either silver or an optional dark tint. At the back you get a large, elliptical exhaust tailpipes with a rifled interior. Treadplates featuring the 'Speed' branding are showered around the cabin with a hand-crafted Mulliner Driving Specification also available. The chic Mulliner specification has a distinctive diamond-quilted hide upholstery with an optional Dark Tint Aluminium 'engine spin' finish. I'm also wondering where's the 4 door? 4-doors? 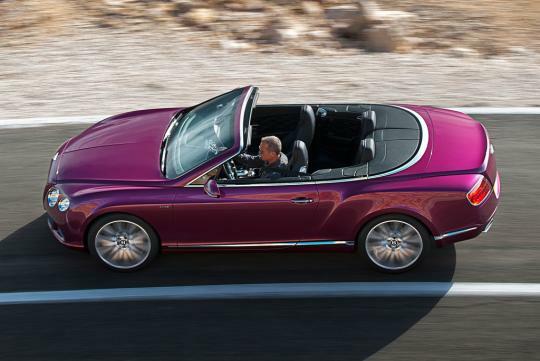 isn't this bentley is faster 4-seater, not 4-door? I was wondering how they made a 4-door convertible.